The first jar invented specifically for honey. I collect old honey jars and when I heard that the Muth Jar was the first jar to have been specifically made for honey, I had to check dates, because there were several bottles that were made for honey around the time that the Muth jar came on the scene in America. From this start, a colorful history emerged. The one pound Muth jar is a square jar that is 6½” tall. Traditionally this type of jar was used for pickles and horseradish. 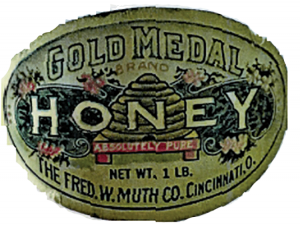 Many people used a jar of this type only with the embossing of their names, so what makes it a Muth jar is the embossing of the beekeeping scene on the bottle. 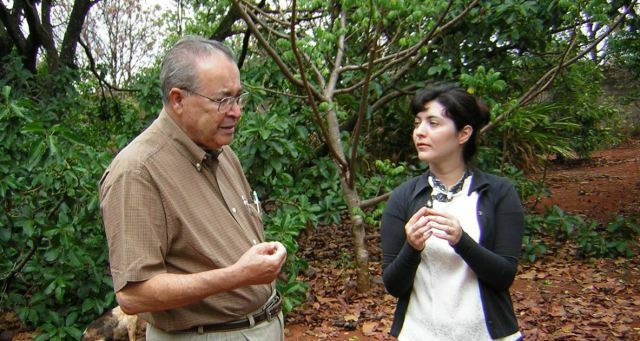 Therefore I will be looking at the bottles or jars from six producers or people that produced honey. A.I. Root Company’s earliest catalog in my collection is the 1879 issue which mentions one and two pound square jars and a quart mason jar for the storage of honey. In 1888, the square jars were further identified as they would be shipped out of Cincinnati. Therefore it was an indication that they were Muth jars. In 1891, the Muth Jars were offered in four sizes: two pound, one pound, ½ pound, and five ounces. There were also honey tins, tumblers, and a 12 paneled flint glass jar available for honey, but it seemed that the Muth jars were preferred. 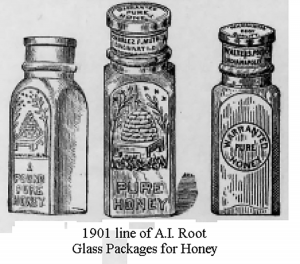 By 1900, you would notice that in the glass packages for honey: listed the Eastern Square Jars, Muth Square Jars, and Pouder Square Jars. The Eastern Square jars would be shipped from either Philadelphia or New York, which means from Selser or Stringham. 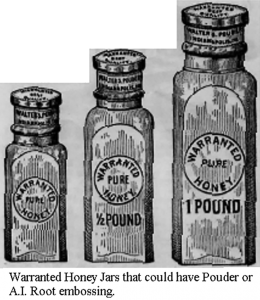 In later years the Root Company would only advertise the Warranted honey jars. William A. Selser, was a businessman that lived in Philadelphia. He was a partner in the firm of Selser, Meurer & Company, manufacturers of fine morocco leather. In 1887, Selser purchased a three acre estate adjoining the H.H. Lippincott property in Wyncote, PA. Because Lippincott was suspicious of Selser’s activities, he put the following restrictions in the deed. “That his building to be erected thereon shall at [no] time thereafter be used for the manufacture of soap, candles, glue, starch, Lamp Black, White Lead, or gunpowder, or as a bone boiling establishment or for any other offensive purpose or occupation whatsoever, and no spirituous liquors shall ever be sold on the said premises.” Perhaps Selser had a revengeful spirit because he named the access road to his property, Curacoa Avenue after his company’s specially product. Curacoa, is fine goat leather that was used for kid gloves and high end clothing. After he moved back to Philadelphia, the citizens of Wyncote renamed Curacoa Avenue to Maple Avenue. Evidently they didn’t care for his sense of humor. 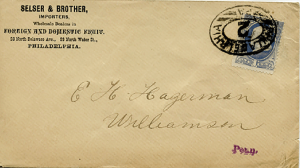 I acquired a couple of business envelopes that showed that Selser and his brother were in the foreign and domestic fruit business in Philadelphia at 28 North Delaware Avenue and at 29 North Water Street. Two business at the same time with different addresses? No wonder H.H. Lippincott was skeptical of Selsers activities. 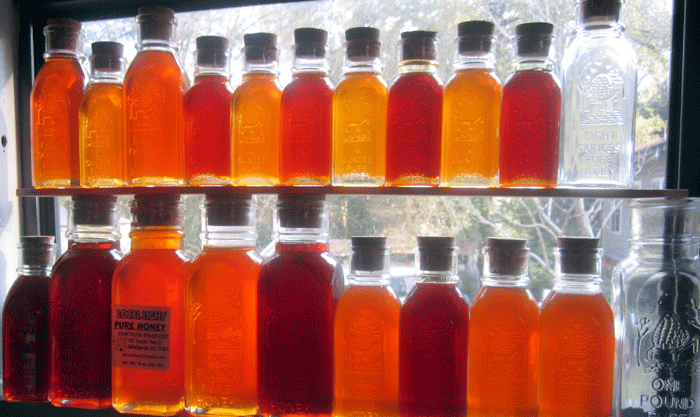 I know of four bottles that William Selser had made for bottling his honey. The most spectacular one is “The Bee.” Although I don’t have one of these bottles, some have been found in a Washington DC dig in 2003 and one was found in a 2008 privy dig in Allentown, PA. 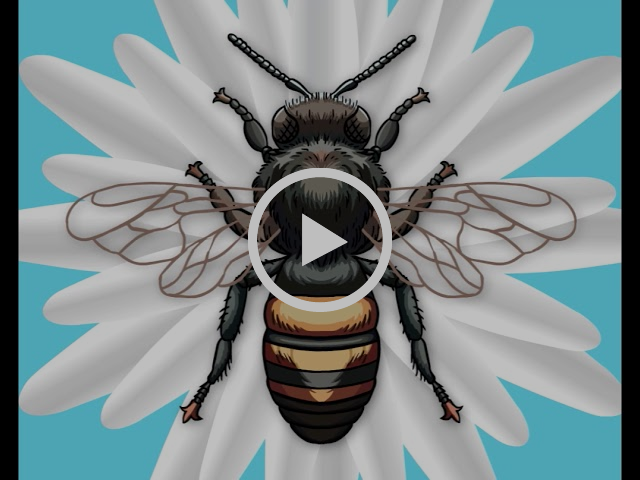 It features the body of a bee. 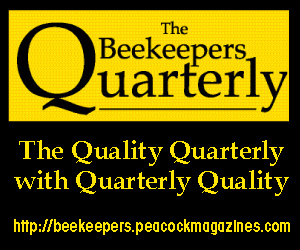 The second honey bottle was embossed: “WARRANTEED, DIRECT, FROM THE BEES, WM.A. 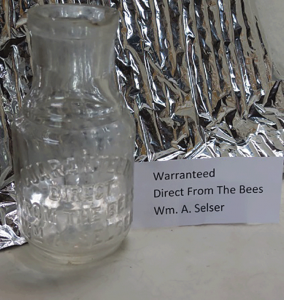 SELSER” and holds about four oz of honey. The third and fourth square bottles have the embossing “SELSERS HONEY BLOSSOM NECTAR” and “SELSERS BLOSSOM NECTAR” hold 16 ounces of honey. He advertised selling Bees and Queens in the 1880s at the Wyncote address, however by 1895, he was located at 10 Vine Street in Philadelphia where he ran a branch outlet for the Root Company. 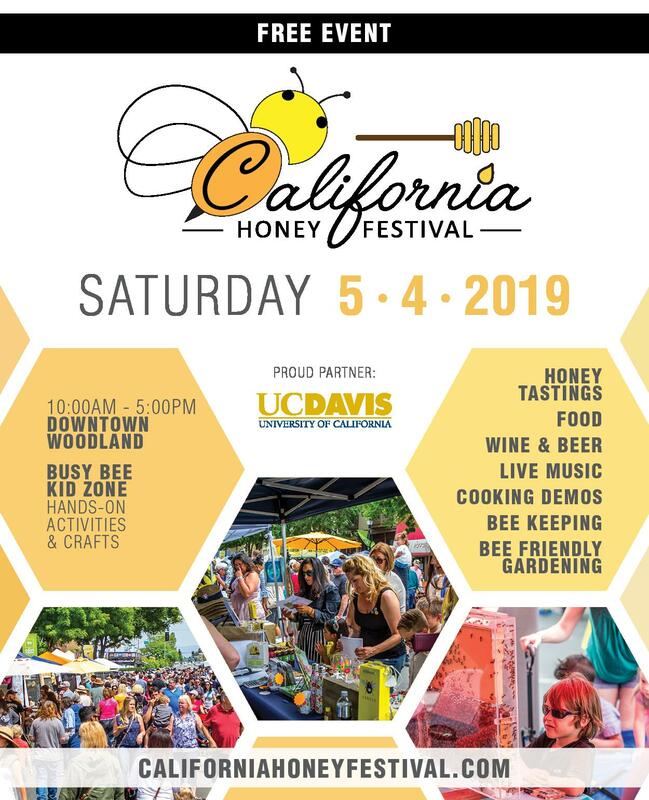 In the May 15th issue of Gleanings in Bee Culture 1906, it mentions that he has devoted his time to analytical chemistry of honey and can tell the difference between honey that is sweet by substances fed by man and raw nectar from the plants. Walter S. Pouder jars were listed in the 1895 A.I. Root catalog. These jars are also square in design and were available in three sizes, 5 oz., ½ pound, and 1 pound. However they were embossed: WARRANTED, PURE, HONEY, and the weight of the contents. 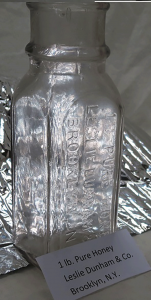 On the bottom of the jars, you can find the embossing of W.S.Pouder or the Root Clover. Walter Pounder operated his business at 513-515 Massachusetts Avenue, Indianapolis, Indiana. It is interesting that the original Muth and Warranted jars had Corks that had an upper flange that covered the entire width of the jar lip. That would achieve two things. 1) Protect the top of the jar from being chipped. 2.) Give you something easier to grab when you were opening the jar. I.J. Stringham was a bee supply dealer in New York and sold honey in a square bottle that had the Muth design. In the 1907 Stringham Catalog, he advertised that he had the mould for a square decorative honey bottle. His bottles have the embossed on the bottom Stringham in addition to the skep and bees on the front panel. 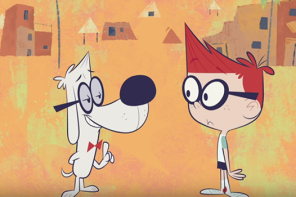 He later became a Root dealer. Ad from 1907 Stringham Catalog. They have their own mould for these jars. Jars are available in: 2 lb., 1 lb., 1/2 lb., and 5 oz sizes. Pacific Honey Company had a rectangular bottle that was 2½” x 3” and stands 8” tall. On the wide panel on one side there is the embossing: PACIFIC HONEY COMPANY. While on the rear wide panel is the embossing of the skep, the two trees, and bees. My bottle shows that the weight of the contents has been rubbed out on the mold and has turned amethyst in color. As far as I can ascertain the Pacific Honey Company was located in Portland, Oregon from 1907 to 1923 and had a jar similar to the Muth jar with different dimensions. Old glass bottles sometimes turn different shades of purple due to the manganese dioxide being used as a decolorizer. When exposed to the rays of the sun or other ultra-violet sources, the photochemical phenomenon develops which is not fully understood. However there are unscrupulous glass dealers that can get glass to change color due to exposure to radiation. After Charles Muth’s death, his business was taken over by his son, Frederick. 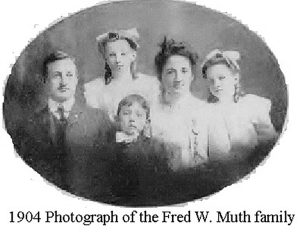 Frederick William Muth was born January 21, 1869 and died May 7, 1949. He married Freda Charlotta Muth, who was born October 17, 1869 and died August 9, 1949. Together, they had three children: Martha, born July 29, 1892 and died December 26, 1969; Edna, born November 21, 1894 and died November 26, 1969; and Clifford Frederick Muth, born June 9, 1897 and died July 18, 1952. The business was located at 51 Walnut Street, Cincinnati, Ohio. In a 1907 advertisement, Fred mentioned that he sold a Muth Special Dove Tail beehive. The only thing that I can see that is different is that many of their supplies came from W.T. Falconer Manufacturing in Jamestown, N.Y. In 1912, a fire destroyed the building that Fred was using for the business and so he found a suitable building down the street that he could rent. He eventually purchased that building at 204 Walnut Street. 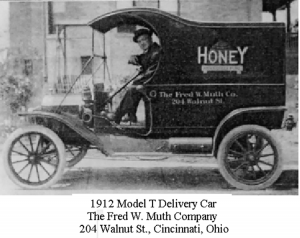 A picture of Fred was taken of him driving his 1912 Model T Ford Delivery Car. Looking through a 1925 Muth Catalog, I noticed several things. The uncapping knives that were listed were Bingham knives, the honey extractor listed was a “Novice” or Root extractor, there was a Kelley smoker, the hive tool carried was the Root hive tool with clover insignia, the Muth “Ideal” veil was really a Root veil, and the only honey containers at that time were tin pails. It is interesting that in the 1906 Illinois Glass catalog, the Muth jar is listed, as a honey jar. On special orders, a screw top lid was available. In the 1926 Illinois Glass catalog, the Muth jar was not listed, but in its place was a Diamond Fluted honey jar. This was really a surprise that the Muth jar and the things that Fred’s father had invented and developed had been eliminated. However there were some changes. The Muth Bee Brush was made from sea weeds that were light in color to prevent stinging and Clifford F. Muth was granted patent 1,849,331 March 15, 1932 for a machine for making sheet foundation. Clifford Muth is mentioned in a couple of articles in 1947 and 1949 as being the vice president of the Fred Muth Honey Company. Cliff was a graduate of Walnut Hills High School and the College of Engineering in Cincinnati. He had been a bomber pilot in the military service. 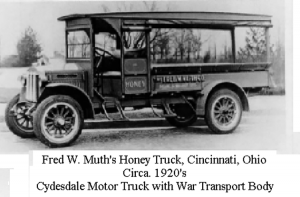 Sometime between 1925 and 1952, the Muth Honey Company sold extracted honey in tapered jars. The brand that they used was Gold Medal Honey. 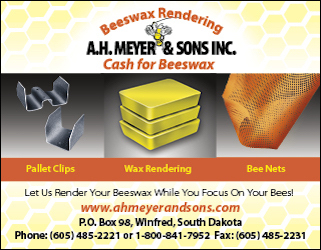 The last that time that the Fred Muth Honey Company was in operation was when Edward A. Fleckenstein was the vice president of the company in 1953. 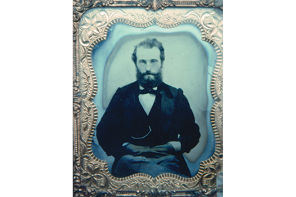 Honey Acres was started by Christian Frederick Diehnelt, (1811-1882) who moved from Rosswein, Germany in 1852. 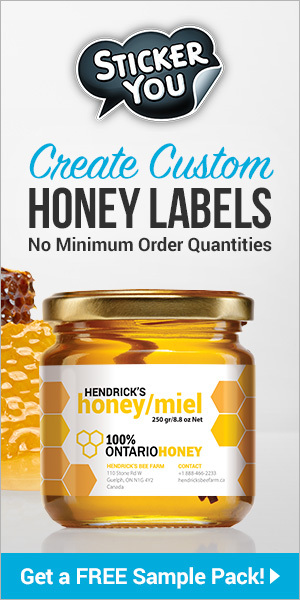 The first apiary was in Milwaukee, Wisconsin and was called the “Linden Apiary.” The Diehnelts learned early that when you sell a product, you must continually add new items to your line to keep many customers coming back. One situation was the olive venture. They would buy olives, repack them and sell them. This project didn’t last very long as they found out that the olives were costing more than what they could sell them. 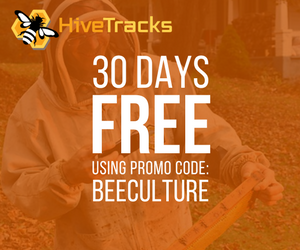 Christian taught his son August the art of beekeeping. Christian’s grandson was Walter A. Diehnelt, who followed along in the business. During the depression of 1920, they shut down for a couple of years and reopened in Menomonee Falls, Wisconsin. 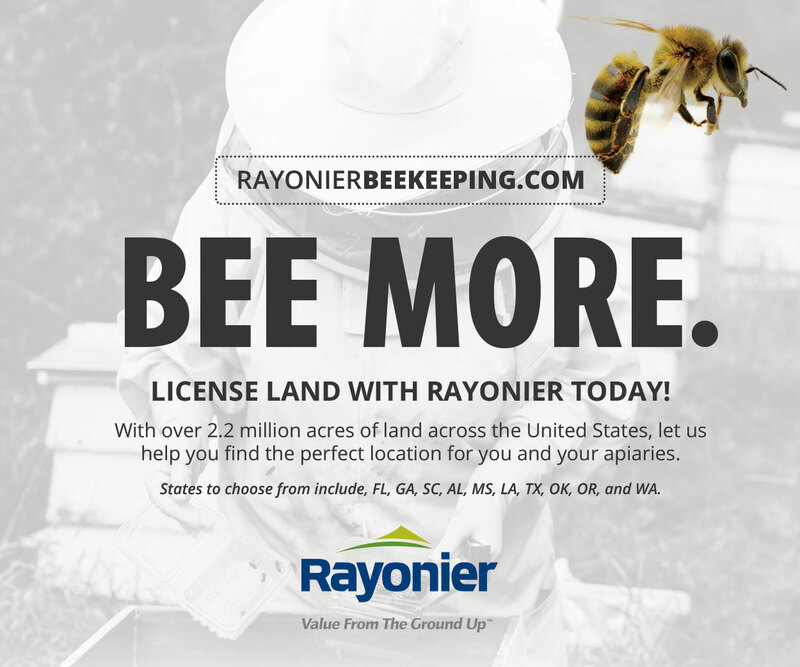 In 1930, the business was renamed Honey Acres. 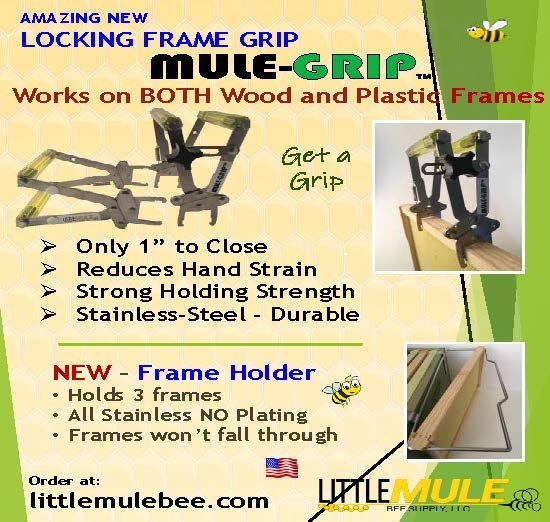 Walter J. Diehnelt, Christian’s great grandson was at the helm and had several ideas such as a museum, a cookbook, and ideas for products to be sold such as the mints, July 27, 1948, he invented a slanted bottom board patent 2,446,081, and a Beehive Cover 2,498,880 on February 28, 1950. In 1962, Walter J. Diehnelt donated the land on Fond du Lac Avenue to the city of Menomonee Falls for a park. The original name for the park was Walter Diehnelt Rotary Memorial Park. Now it is called the Rotary Park. In 1980, the company moved to larger facilities in Ashippun, Wisconsin. Walter’s nephew Eugene Brueggeman recalled that in 1977 the Muth jars were added to their line and made great gift containers. Their Muth jars have an embossing on the bottom “Honey Acres.” The sales for the large jar, in 1977 was 100,000 bottles. In 1979, the smaller Muth jars alone sold 500,000 bottles in two months. The largest buyer of the Muth jars was Hickory Farms for their gift baskets. In 2004, Hickory Farms purchased between ½ million to ¾ million jars. However they changed their gift baskets causing Honey Acres to stop producing Muth jars. 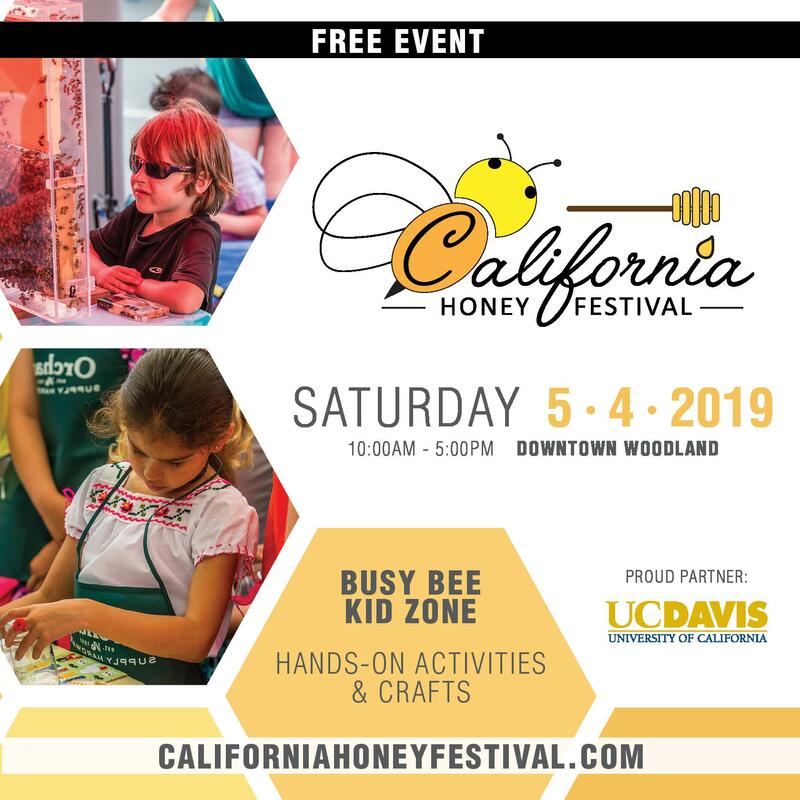 Possibly another reason that the Honey Acres stopped making the Muth jars was due to the four ounce mold developing a flaw and the word PURE was no longer spelled correctly. Walter died July 4, 2011 at the age of 89, but Honey Acres is still in operation. 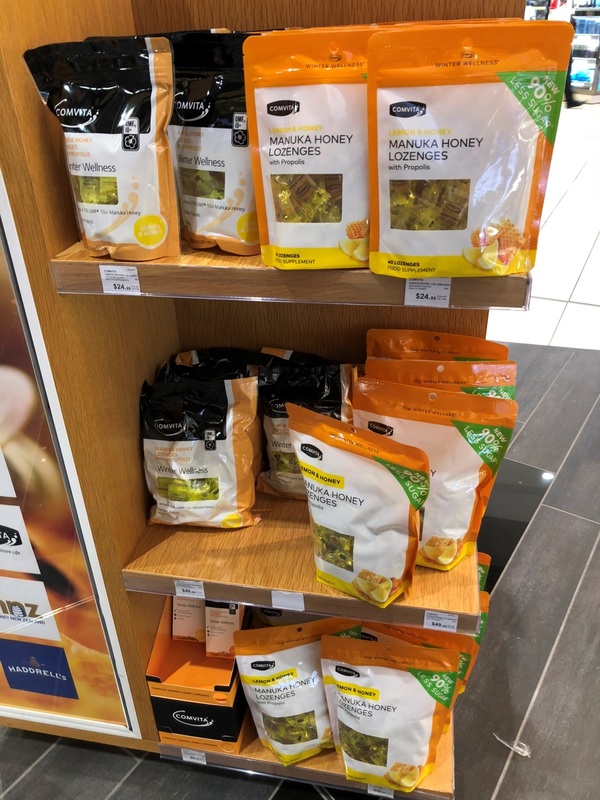 They still have the museum and the items that are available are: Extracted Honey, Honey Cremes, Honey Mustards, Honey Straws, and Dark Chocolate mints. Blue Sky Bee Supply sells the Muth Jars and the jars available are: 4 oz., 8 oz., and 16 oz. sizes. They redesigned the 4 ounce jar in 2012 as the artwork on the skep had become less skep like and rebuilt the mold. Instead of numbers for the weights on the jars, you will notice that the numbers are spelled out. 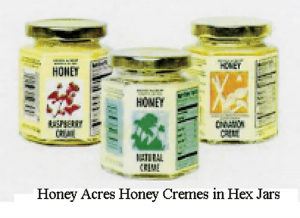 Instead of the words “Honey Acres” you will see “retro pack” on the 4 oz. jar. Cardboard Gift boxes with graphics that hold two or three Muth Jars are also available. 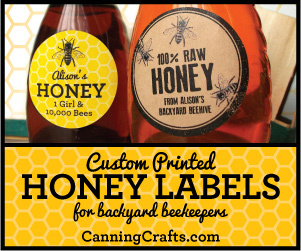 They have found that the jars make good wedding favors, gift baskets, as well as regular honey sales displays. 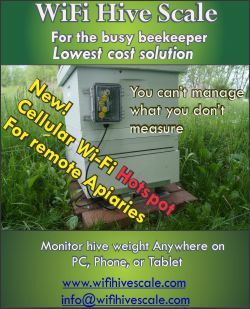 Blue Sky Bee Supply is located at 930 N. Freedom, Ravenna, OH 44266. After studying the dates of the early American honey jars, it appears that Charles Muth did indeed develop the Muth honey jar. However it probably wasn’t the very first jar to have been made for honey. I have in my collection of honey jars a couple of square jars that have a blob that could be interpreted to be a skep, which may have been the inspiration for the jar. After Charles developed the jar, it is clear that others continued the making of the jar. The original Muth jars had distinct skeps where you could imagine that you were seeing strands of straw. It remains today a very classy jar to sell honey. It is difficult to take a picture of the jars to show the embossing. I tried making pencil rubs on the bottles but in some cases, the result was smeared or blacked out. The following gives you an idea of the printing on the bottles, but not as much detail as the pencil rubs. 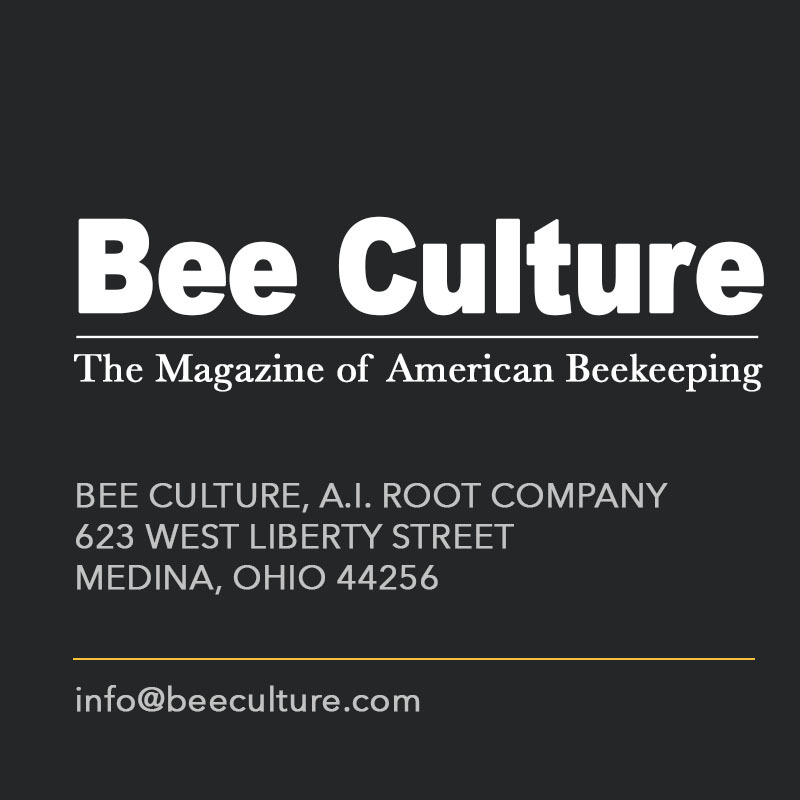 Jim Thompson is a long time beekeeper and beekeeping historian living in Smithville, Ohio. 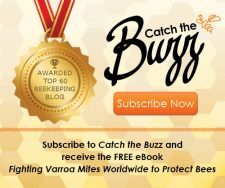 CATCH THE BUZZ – Beekeepers at Risk of Going Bust Because the Success of the Manuka Honey Sector has Attracted too Many Hives.